Thomas Appliance Service has been in business serving Santa Clara and San Mateo Counties since 1976 and will continue to honestly service your appliance parts and appliance repair needs. The owners have the experience required to give you confidence that your job will be done right! From stoves to refrigerators to dishwashers, we have what you need! We provide fast, reliable repairs on all makes and models of household appliances in Santa Clara and San Mateo Counties.We also service Hollister. 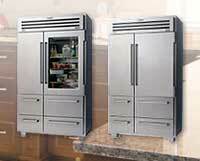 Thomas Appliance Service performs most repairs in one day. We guarantee all parts and labor and service all major brands of major home appliances. So, give us chance! 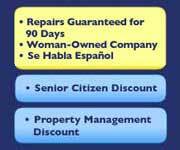 Call us at (408) 243-3128. We are dedicated to serving your appliance repair and parts needs.